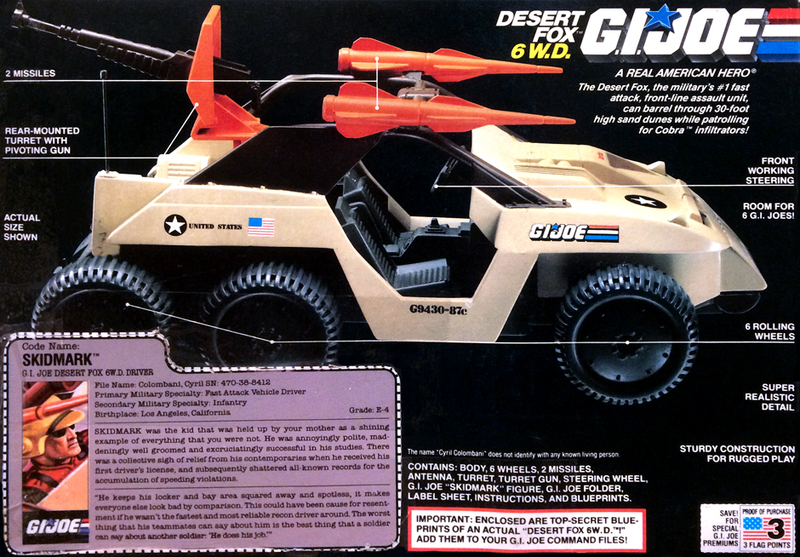 1988 Desert Fox 6 W.D. 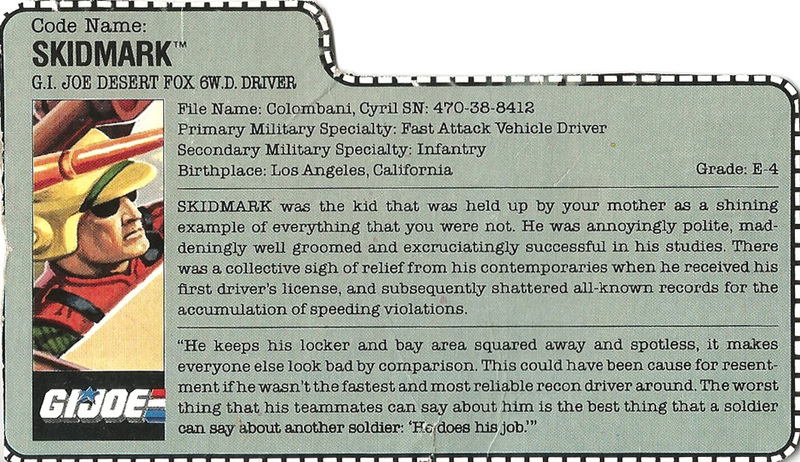 Desert Fox 6 W.D. courtesy of the Yo Joe Outlet. Please visit them on eBay. 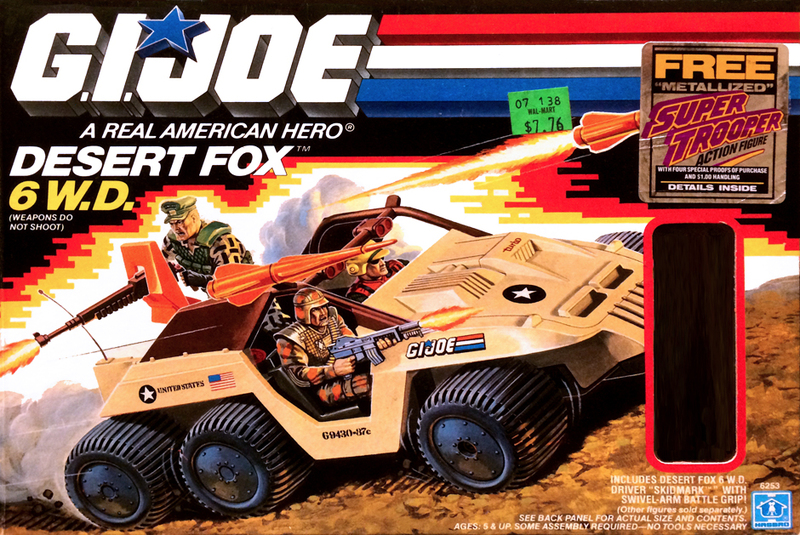 NOTE: Although the box art shows several Joes manning the Desert Fox, and they're pictured above, only Skidmark was included. 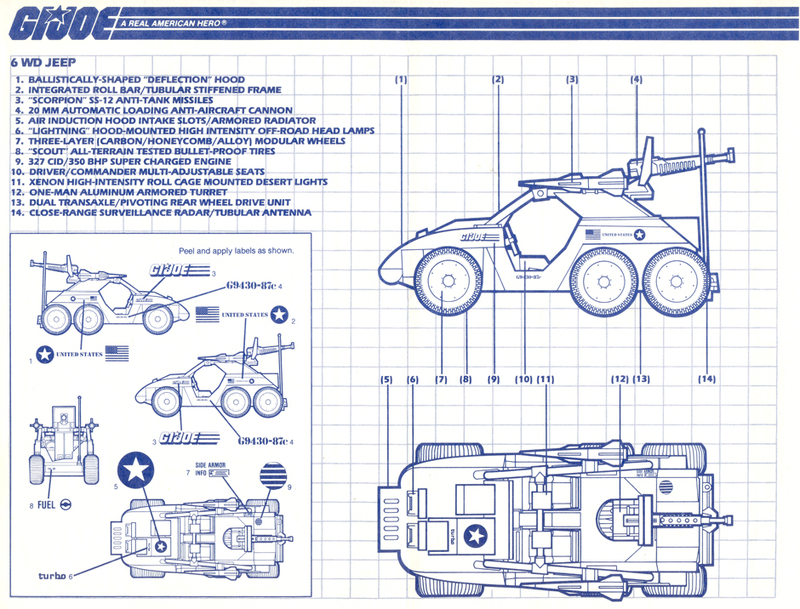 Desert Fox 6 W.D. 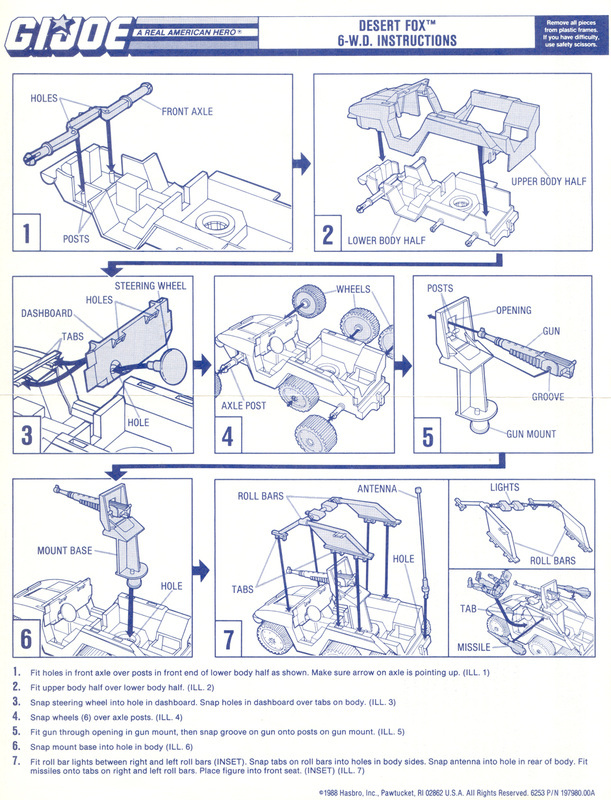 blueprint/instructions courtesy of Tim Dz.